You are here: Home / Blog / Blog Posts / You’re Invited to Chicago! Fall is the perfect time of year to travel to some of the Valley’s most popular destinations. With summer tourist crowds at bay, mild temperatures, and nonstop flights starting at $210 roundtrip from SHD – Chicago is a great place to plan a trip this fall. Known by the nicknames Chi-Town and The Windy City, Chicago is an excellent destination for a long weekend getaway or full-fledged vacation. To make your trip memorable, we’ve put together some of our favorite must-do activities and attractions! The architectural influence of Chicago enchants the novice and expert alike. Home to world famous architects and buildings, architecture is key to truly appreciating Chicago. Don’t miss our top pick for exploring Chicago Architecture! 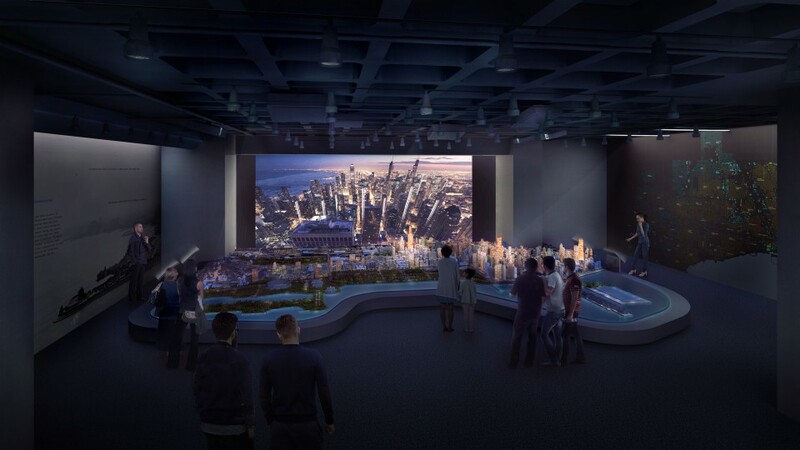 Making its debut in August 2018 the new Chicago Architecture Center (CAC), formerly known as the Chicago Architecture Foundation, combines education, interactive exhibits, and storytelling in a way that brings the city to life like never before. The CAC is fun for the entire family and affordably priced at just $12 for adults, $8 for students with ID, and free for children under 5 years old. Architecture River Cruises Get up close and personal with the city from a unique vantage point with a 90-minute guided cruise on Chicago’s First Lady. Capture Chicago Photography Cruises and Twilight River Cruises are also available. Prices vary based on cruise type. Chicago Model Experience This interactive exhibit weaves the tale of the growth and rebirth of the city. From Me to We: Imagining the City of 2050 Get a glimpse into the future and explore the trajectory of change for cities to accommodate a global increase in population. Chicago’s vibrant arts and culture scene sparks the imagination and offers something for everyone. Immerse yourself in these top picks for adding the arts to your next Chicago visit. Look no further for award-winning theater, music, opera, dance, and experimental arts. From Broadway to ballet and everything in between, you can experience it at the Auditorium Theatre. With a story all its own, this historic venue has brought culture center stage for 127 years. Click here for a full list of upcoming performances including The Joffrey Ballet’s Swan Lake, October 17th-28th. With a slogan like “Long Live Curiosity,” the Museum of Science and Industry is a must-see for all ages. Since 1933, it’s welcomed visitors to explore, imagine, and discover the wonders of science and industry. Ticket prices vary based on experience and exhibit packages. Discounts are given for ordering tickets online. 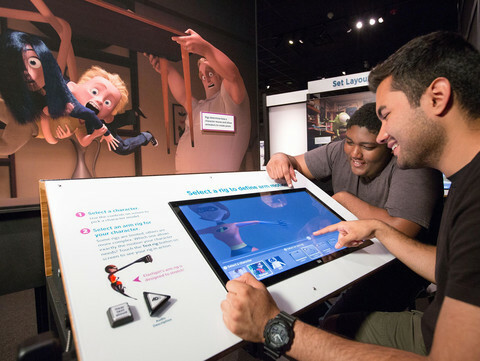 The Science Behind Pixar: This exhibit features over 40 interactive elements that showcase the filmmaking process of family favorites and brings beloved characters to life right in front of you. This exhibit runs through January 6th. Flight and Ridge Simulators & Space Walk: Where else can you launch into space, ride a Red Baron from World War I, or complete a spacewalk mission outside the International Space Station? Trust us; you’ll be talking about these exhibits for years to come! Coal Mine: From descending a mine shaft to riding the rails, experience a true-to-life coal mine in this unforgettable exhibit. From deep dish pizza to the dazzling cuisine of famous chefs like Grant Achantz, you can easily eat your way through a trip to Chicago. From downtown to uptown, here are some top picks for food destinations that are sure to satisfy. Awarded the prestigious 3-star Michelin ranking, Alinea will delight your senses and open the world of cuisine in a whole new way. Much more than a restaurant, this engaging experience is bucket list item for the ultimate foodie. Chef Grant Achantz is world renowned and when you dine at Alinea, you’ll understand why. Plan your trip carefully as bookings are often filled months in advance. From pizza to lobster rolls, Chicago streets are filled with delicious cuisine. Believe it or not, Chicago’s food trucks serve up some of the best meals in the city. With cult-like followings, get the latest locations and menu offerings by following them on Twitter. To get you started, click here for a list of favorite food trucks in Chicago. Take a delicious deep dive into Chicago cuisine and history with this foodie favorite tour. Enjoy the iconic landmark, delicious food, and informative guided tour in this all-in-one activity. Departures take place multiple times a day and tickets range from $35-$50. Ready for a trip you’ll never forget? Click here to book your Chicago flight now! https://flyshd.com/wp-content/uploads/2018/10/architecture-1853632_1280.jpg 621 1280 Shenandoah Valley Regional Airport /wp-content/themes/shd-enfold-child/images/logo.png Shenandoah Valley Regional Airport2018-09-26 12:53:282018-10-16 12:54:18You're Invited to Chicago! Travel That Passes the Stress Test. Here’s How… Ready to Win a $250 Travel Voucher?